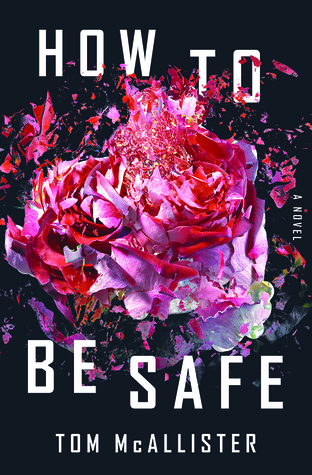 How to Be Safe by Tom McAllister is a recommended novel about a woman's response to the aftermath of a school shooting in a small town. "His brain is just another brain. It’s connected to someone with a bad soul, but you can’t bottle that or study it. The slivers of his brain placed on slides under a microscope will not show the memories, won’t allow them to read the rejection and the emptiness and the abuse and the fear. The slides will not show the ways people can be ruined just by existing in the world." A high school student planned and executed a mass shooting at the high school he was attending in Seldom Falls, PA., "America’s friendliest city." In the aftermath Anna Crawford, a suspended high school English teacher, is named a person of interest in the police investigation by overzealous broadcast media. "To be on the news, you just need to own a suit and be willing to guess about anything. You become someone who opines for a living. Opinions need to happen fast, or they don’t count." Anna's first-person narrative begins after the tragedy occurred, when the media broadcasted accusations about her and she was taken in for questioning while her home was searched by the FBI. Anna is not guilty, the actual lone killer is quickly identified, but she must be guilty of something, right? Anna spends the novel trying to find a way to be safe, while talking about the sun no longer shining in the town and discussing the victims. She drinks way-too-much. She goes through the stages of grief. She talks about the victims. She watches her town and friends disintegrate into factions. She seems like an unreliable narrator, but she also might just be suffering from depression and some other unidentified malady. The media is always present, looking for a new angle on the story. McAllister is most effective when he allows Anna to contemplate her childhood and all manner of sexism, misogyny, and hypocrisy that exist today. It surprised me how accurately he captured the voice of a woman, a woman whose mental state is in a downward spiral. Her lists of how to be safe are eye-opening and devastating. This is a thought provoking novel and, at times, darkly humorous. There are sections where the narrative veers off the mark, trying to embrace a political statement that it needn't belabor and it muddies Anna's mental turmoil and pondering of modern life, but there are other parts that are spot-on and presented with a razor sharpness. In many ways, Anna's mental state, which was happening before the shooting occurred, didn't need the addition of that tragic event to give her musings more power. 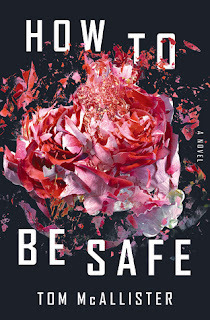 It kind of felt like that was added to introduce some kind of opportune political weight to the novel, as Anna could have pondered any school shooting and not felt safe without her being considered a suspect. Her suspension from teaching would have been enough to set most tongues wagging about her guilt for something in a small town. This is not We Need To Talk About Kevin. When reading it I kept thinking that the buzz over this is just because it has a school shooting in it, not because it is a perfect champion of gun control. When it gets political, it loses its power - and it almost lost me several times. I kept reading for other sentences that captured life today for women so much more precisely and with a brutal honesty. Disclosure: My review copy was courtesy of Liveright Publishing Group.